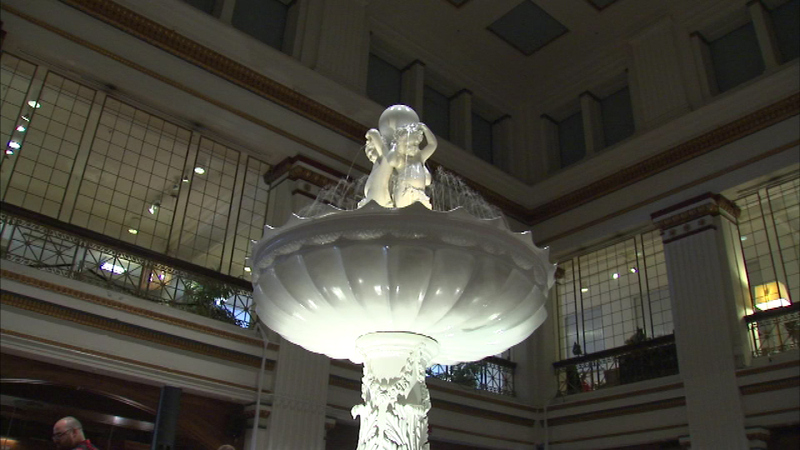 The fountain in Macy's Walnut Room is flowing once again for the first time in decades. CHICAGO (WLS) -- The fountain in Macy's Walnut Room is flowing once again for the first time in decades. The iconic fountain located above the tiffany ceiling was restored and rededicated Saturday in honor of the department store's 125 years in food service. The fountain has not operational out of fear it would leak and ruin the tiffany ceiling designed by Louis Sullivan underneath.